Applied Nanomaterials covers the development and research advances at nanoscale for the creation of new applicable materials and smart materials. 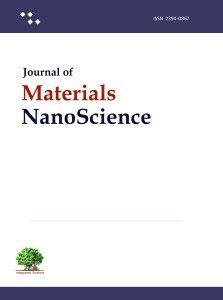 The applied nanomaterials is an essential part of the Journal of Materials NanoScience. The researchers working in the field of nanomaterials can submit their article for consideration in Applied NanoMaterials Section of the journal. The manuscript should be prepared and submitted as per details provided in author guidelines section. See author guidelines at JMNS site.